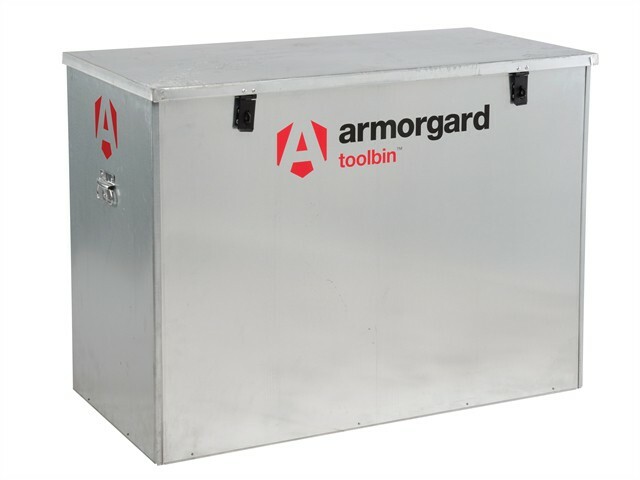 The Armorgard ToolBin™ is a lightweight storage bin, which is lockable with 2 hasp and staples. Manufactured from thin galvanised steel it will keep tools away from prying eyes and the elements. It has been designed for storage as opposed to security and is ideal for securing less valuable items. External Dimensions: 1165 × 560 × 860mm. Internal Dimensions: 1160 x 550 x 850mm.